Say hello to this little trailer. 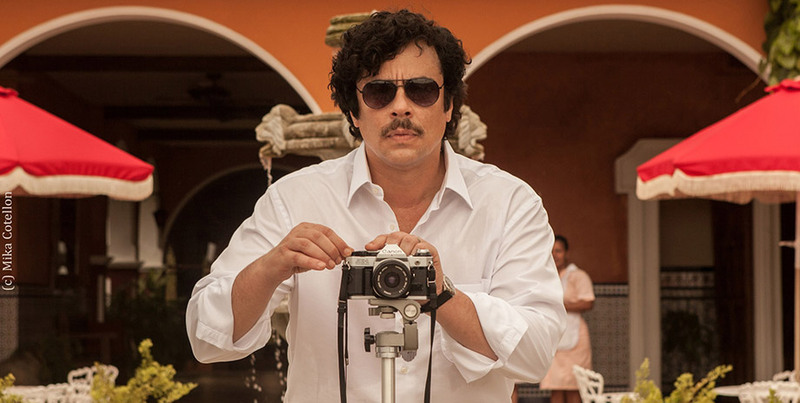 Any film about Pablo Escobar will invariably draw comparisons to the doomed Vincent Chase production of Medellin in HBO’s Entourage. Andrea Di Stefano’s Escobar: Paradise Lost actually doesn’t look to far off in terms of tone and narrative, except Di Stefano’s films managed to nab Peeta from The Hunger Games, which puts it at an advantage over Vinnie Chase’s film. Escobar: Paradise Lost Josh Hutcherson, Benecio Del Toro, Brady Corbet and Claudia Traisac in the US in January, 2015.